In a hate-filled political environment where denial of rights is rampant, it’s easy for progressives to become disheartened, depressed, and/or angry. 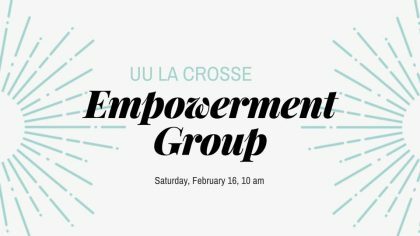 Starting on Saturday, February 16, 10:00-11:30 in our conference room, I will facilitate a meeting to do two things: 1) name the feelings; 2) identify personal actions to build and sustain energy and a sense of empowerment. Contact Ron Malzer at ronsaturday@gmail.com for more information.